This page aims to help you remove Vortex Ransomware for free. Our instructions also cover how any Vortex file can be recovered. Vortex Ransomware encrypts computer information so cyber criminals can request a ransom from the victim in return for a decryption tool! Vortex is a new malware virus from the notorious Ransomware family, which after infecting the victim’s computer encrypts all the files with military-based cryptography, and may also change the extension of the encrypted files to another one. 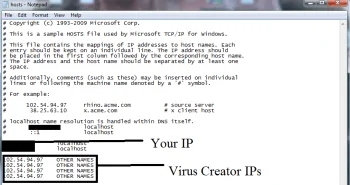 Once the virus has finished scanning the system and has “secured” all the information, it creates a ransom document and places it on the victim’s computer. This document is known as a “ransom message”. It is created by Ransomware viruses to inform the victims about the encryption of their data and to provide a single decryption opportunity – the ransom payment. Vortex Ransomware apparently wants the victims to buy Bitcoins and transfer them to the address of hackers’ wallet. The criminals may encourage the victims to contact them as soon as possible and to strictly follow the ransom demands, otherwise, they may threaten to double the requested ransom or delete the encrypted data forever. The fraudsters may also promise to provide a special decryption key, which can reverse the malicious encryption and bring the affected files back to normal soon as the payment reaches their wallet. Unfortunately, according to most reputed specialists that try to combat Ransomware, including our “How to remove” team, the criminals cannot be trusted. They are more likely to disappear the moment they get the money rather than send you a decryptor, so if you are thinking of paying the ransom, you should be prepared for the possibility to lose your money and end up with a lot of encrypted files, without any possibility to decrypt them. Instead of paying the ransom, focus on removing the malware. The detection and the elimination of the infection is a complex task indeed. It can be done by IT specialists and malware analysts, so you should not try to remove the virus yourself unless you know what you are doing. Otherwise, such attempts can cause even more damage to your computer or turn your information into a pile of useless data. We recommend that you use a reliable anti-malware tool like the professional Vortex Ransomware removal tool for this task, as this is the easiest and safest way to remove the Ransomware and all of its malicious scripts. 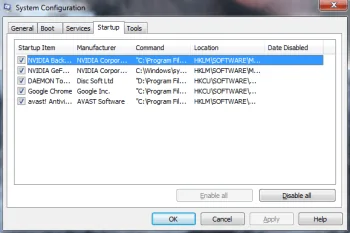 If you have some advanced computer skills, however, or the malware blocks your attempts to run a removal tool, the free removal guide below may give you a hand. Use its instructions carefully to locate Vortex Ransomware and delete it from the system. Once you do this, do not expect that everything will go back to normal though. Unfortunately, the effects of the Ransomware attack may often remain and keep your data locked even if you remove the cryptovirus. In such a case, you may need some alternatives to recover the encrypted data and get it back. File backups are the best way because by copying your files from there, you can restore everything up to 100%. If you don’t have backups, you may still have the chance to save something, so we suggest you check the file-restoration tips that we have prepared below. How can Vortex Ransomware get inside your PC? It is known that Ransomware threats like Vortex Ransomware are mostly spread through malicious emails that deliver fraudulent messages with an attachment. Many infections also happen when the users interact with fake ads, misleading links, sketchy web pages, software cracks, fake updates or exploitation tools found inside Trojans and compromised web pages. 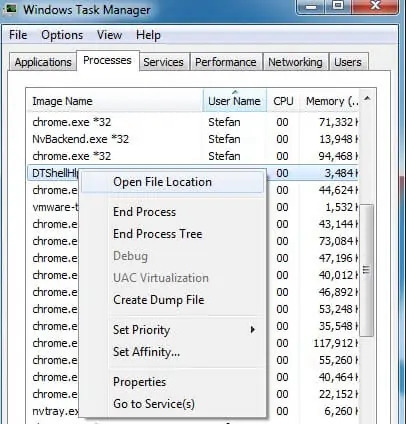 Once the victim has opened the infected file, the malware is rooted in the computer system and encrypts the victim’s files using complicated encryption. This procedure can be reversed only if you apply the right decryption key. Without the decryption key, there is no way to recover your files, unless you have full backups. You should not blame the computer security professionals for not having created a decryption tool – encryption is a very complex method of file protection, so it’s not surprising that it is used to store military secrets. Typically, the one who encrypts the files is the only one who knows how to decrypt them. In the Ransomware case, this is the hacker, who controls the infection. To protect your computer, it is a good idea to use a reliable antivirus program, back up your information, and be sure to install all the software updates on time. You should not postpone Windows software updates, no matter how annoying they are because security experts work day and night to provide patches for potential system vulnerabilities that threats like Vortex Ransomware may easily exploit.